The truth is I don't wash my hair everyday ( my husband loves to tease me about it ). I reckoned that washing my hair everyday with shampoo makes my hair dry and frizzy. This is because washing it with shampoo strips off the natural oils of our hair. But with that another dilemma arouse. Without washing my hair everyday like let's say after 3 days my hair tends to get greasy, oily, flat and no volume. Of course, I don't want that and neither do you. So the solution? Dry shampoo! (Yeah, I know it's still a 'shampoo' but this time it comes dry.) Well, thanks to the internet for it's wealth of information. 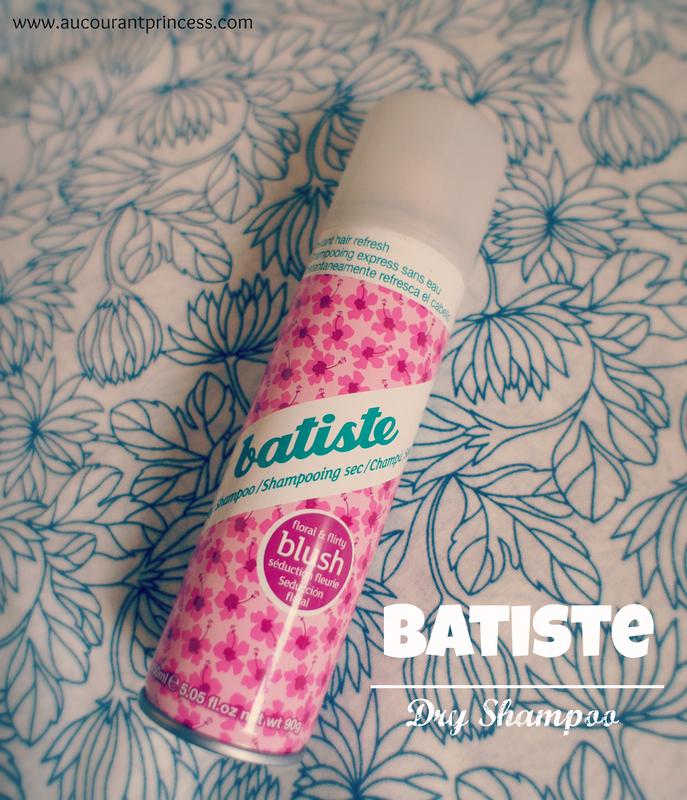 The first ever dry shampoo I've tried and is still using is the Batiste Dry Shampoo in Floral and Flirty blush. I bought mine in myCK Department store in Singapore because it's a tad cheap. 3. Brush hair and style as usual. Remember that this is the first ever dry shampoo that I've tried and I don't have any experience whatsoever of dry shampoo's in the past. However when I first used it I was impress with the results. I even tried not washing my hair for 4 days and yes, it work wonders. Note : Massage the product carefully and thoroughly on your hair else it will leave white residues if not done properly. Adds body and texture to the hair. Instantly gives your flat hair volume. Revitalize the hair between washes. I don't like the smell but it's not that bad either. Can leave white residues on hair if not massaged properly (especially for dark hair types). It works! I love it. It's definitely the solution I've been looking for. Will definitely continue using this product. Their website says that it comes with different varieties of scents so yes, I would like to try them all. You might want to check them out at www.batistehair.com. Do add me via GFC too! I am so happy you love this dry shampoo I am new to dry shampoos and have heard great things about this brand. Now I will try it out.